When we took a good hard look at our monthly entertainment bill, it became increasingly apparent that something would have to go. We had already cancelled Hulu and our phone land line, but that was still not enough. We still had a huge DirecTV bill that was largely going unused from month to month. Something had to be done. Of course my wife and I were hearing from friends and reading more and more articles about "cutting the cable" and going strictly streaming, instead of using satellite or cable TV. This scared me in particular, because I didn't want to lose the local channels, and in the area where we live, a TV antenna is not a good option. For one, our neighborhood has a lack of broadcast reception from a TV antenna. We tried to buy a digital antenna from Best Buy, and they told us that everyone who has ended up returning it due to lack of channels in our area. About 85 Live Channels + some on-demand channels. Over 100 channels total. No hidden costs, and you can cancel anytime. And no additional hardware to purchase. If you have a smart TV, it may already have the app, but I like the Fire Stick and consider it essential for every TV. The emphasis of fubo TV seems to be sports, but you get the major networks, shows, many streaming movies, etc. At least as many as you would get from your cable company, and probably much more. Again, it is a combination of both On-Demand and Live channels. Of course we are big-time streamers, so we also have subscriptions to MLB TV (so that I can watch my beloved Washington Nationals games and any other MLB games I want to see), Netflix, the Criterion Channel and Amazon Prime Video. All of these live on the Fire TV Stick too, so they are also available on every TV that has a Fire Stick plugged in. I really like the combination of local sports, good video quality, local news channels, all major networks, cloud DVR and a user-friendly guide. We may try Sling TV and YouTube TV, but so far we're pretty happy with fubo. Here is the newly-updated version of one of my most popular videos ever on YouTube. The old way of sharing contact groups in Gmail is now obsolete. Here is the new way, along with how to create a new label/group, move a contact to one or more labels, and how to get Chrome to ask where to save your downloads. I hope it is even better than the previous video on this topic and that it will clear up the many questions of "Where did everything go?" in trying to complete this import/export process. This video takes a look at capturing basic screenshots on a Chromebook from the student perspective. It also gives a good example of how to turn in these screenshots to Google Classroom and even rename them on a Chromebook. In Part 3 of my continuing series on Chromebook Tips & Tricks, I will take a look at creating and editing Bookmarks in Google Chrome using the Bookmarks Bar and how to search these bookmarks from the Chromebook Launcher. In my continuing series on Chromebook Tips & Tricks, Part 2 takes a look at pinning and unpinning apps to the Shelf, using the App Launcher, taking photos with the built-in Camera app, and moving photos and other files from the Files app to Google Drive. In Part 1 of my series on Chromebook Tips & Tricks, I will look at how to shuffle the Google Apps list, how to pin a tab to Google Chrome, different ways to right-clicking and scrolling, how to sync Docs for offline viewing, and other Google Drive tips. All of this, and it's only the first part of the series. Learn how to quickly Go Live to YouTube and produce videos that are recorded and sharable for both live use and future reference. Teachers can use this method to record their teaching, and anyone wanting to do online webinars and training will also find this very useful. If you create any kind of online graphics professionally, you probably already know about Canva. But for those out there who don't, I have created a video tutorial which will get you up to speed pretty quickly. It is what I like to call a 15-minute mini-class. Canva is used quite a bit by social media people who need a quick design template for their posts. It takes very little time to whip up something professional-looking with its helpful built-in design tools, such as frames placeholders and grids. Most of the included images and text designs are free, and you can save the designs that you create - to be used later or just upload your own graphics to re-use in future design projects. Canva is extremely easy to use and will save you a great deal of time. Not that it is a replacement for Adobe Photoshop, but who has the time to use Photoshop for each and every graphic project we do? Canva even has some quick and dirty photo editing tools...and once you've created your design, you can save it online, share it with your team members, share through Social Media or download it to your computer to be used elsewhere. Sound interesting? Check out my video below to see a pretty in-depth overview of what you can do with Canva. Then, try it out yourself and save to your own account at canva.com. This video tutorial shows the complete student workflow of recording a Google Slides Presentation using Screencastify and then turning in the video through Google Classroom two different ways. Many of the newest features of Screencastify's Tab recording toolbar are shown, including the timer, spotlight, pen, pause button, start and stop keyboard shortcut and the eraser. This tutorial shows the workflow of how students can record class audio projects using Vocaroo and then turn them in through Google Classroom. While I was working on a video editing project, I started picturing the final product in my head. I recorded an interview with my client. Then, I recorded him running (because he is an avid marathon and competitive runner). I then decided to play the audio of his voice from the interview underneath the clip of him running. Unfortunately, I have not yet installed any decent video editing software on my new laptop. Being pressed for time, I only had a free video editor at my disposal which only allows for one video track and one audio track. So, the question was how to take the audio from one clip and add it to a different clip. This brought up a need for an audio extractor which could take the audio from one clip and allow me to export it as an MP3 file, for instance. 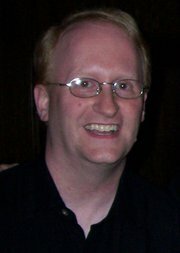 I did a search and found 5 awesome online audio extractors to extract audio from video. The article also explains how to extract audio from video with Filmora Video Editor. If you are looking for other software along these lines, such as video editors, audio editors, password managers, photo editors, malware removal tools, music managers, etc., I recommend visiting Giveaway of the Day where they feature at least one good free software download every day of the week. I have found so many great tools this way. Just remember that any future upgrades of the programs you download are not included for free. Roland Dean at Joyofandroid.com has put together the most thorough and advanced user guide for Google Docs and Sheets for Android that I have seen so far. I found it very useful and can see why he is so proud of it. The guide will help users get the most out of Google Docs, for instance, right away, as well as Sheets (Google's version of Excel) and even Slides (Google's version of PowerPoint). Here is a brief look at the file view in the screenshot below. In Google Docs (docs.google.com), use the Add-In called Open ClipArt. This adds ClipArt to your Google Docs. In Google Slides (slides.google.com), go to the Insert menu and insert WordArt, Line, Shape and Image. In PowerPoint, go to Insert>>Pictures or Insert>>Shapes. Use a different slide for each of your logo designs. Note: Upload to Google Drive when finished. Creative Commons (CC Search): What makes CC Search so great is that it is more than just an image search. Search 12 different media sites from within one page (including Flickr, Google and YouTube). It searches music and video sites as well as images. Pixabay.com: Free high-quality images. Only requires a login if you want to save the images to your account. Otherwise, you can download to your desktop, and upload to Google Drive. If you use a Google Images search, click on the Search Tools button, then Usage Rights. 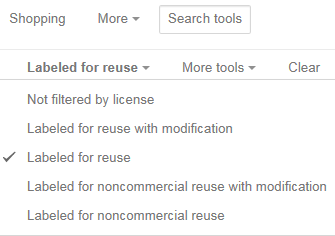 Click on "Labeled for Reuse." Canva: lets you create a logo design from their various templates at which ever size you need, including the correct social media formats. 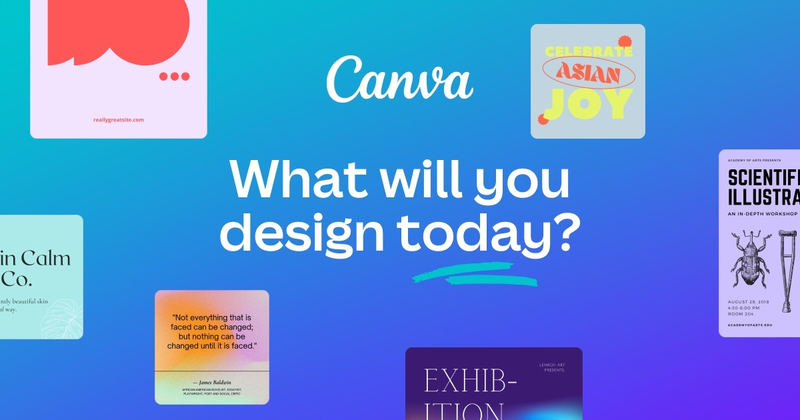 Canva is a designer, a canvas and a photo editor, so you can do all of your designing in one place. You will need to set up a free account at the Canva site. Freelogoservices will offer a step-by-step with various options to choose from. Use it only as a starting point to help you create your own ideas. Includes a business card creator and you get 50 free business cards. LogoGarden: Easy pick-n-click tools to help you design a logo. Starts with just a business category and a symbol. DesignMantic: Just enter your company name to get started. Creates several logo design variations with one click. VistaPrint: This not only helps you design a logo, but it also lets you make a batch of free business cards. LogoMaker: Takes you step-by-step through the creation of a logo. Requires an account, but you can step through it without one. Google Drawings: Google's design canvas tool. Drag or insert images and text, and then design your logo, which can be saved directly to your Google Drive or go to File>>Download As and choose a format like PDF, PNG or Scalable Vector Graphics (SVG). When finished, make sure you log in to your Google Drive (drive.google.com) and upload your designs. Pictures should first be downloaded to a desktop folder you create, called something like "Logo Images." As you download your photos, right-click and choose "Save Image As" or "Save Picture As" and store them on your classroom computer. When your images are downloaded and collected, upload them to Google Drive, and delete the Logo Images folder from your classroom desktop. Note: To save your designs online all in one place, try Canva.com and sign in with your Google account. --You must have an account to save your designs. You can also use pre-created designs that are already pre-formatted for Facebook, Twitter, Instagram and other online platforms. Cooltext: a free graphics generator for web pages and anywhere else you need an impressive logo without a lot of design work. Simply choose what kind of image you would like. Then fill out a form and you'll have your own custom image created on the fly. Cannypic: This site offers its own collection of high-quality hand-made vector images for personal and commercial use, absolutely free. SoftIcons: Allows you to download free icons, icon sets and icon tools, at least for personal use. OpenClipArt: Free ClipArt on a variety of searchable topics. Clker: Free ClipArt you can use for anything you like. Yes, the iPad and iPhone can speak to students. The accessibility feature called VoiceOver can be activated and used by students with reading accommodations. The presentation below shows you how to use VoiceOver and gives several useful tips. You can now grade a quiz using Google Forms without using any add-ins. 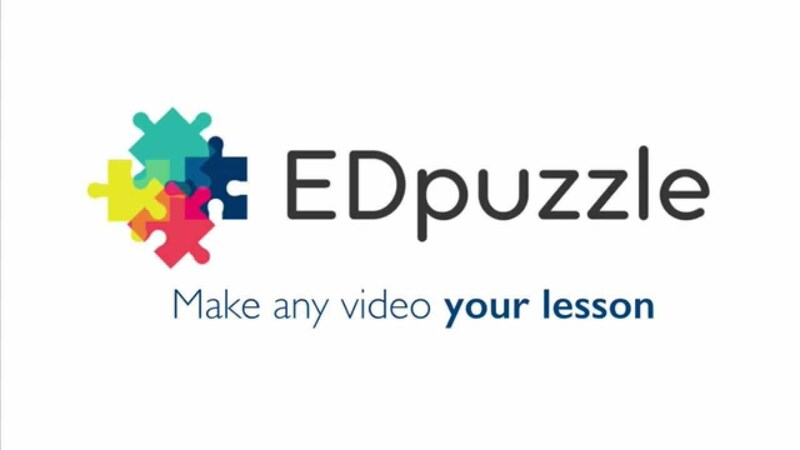 This makes it so that anyone can create a self-grading quiz which can be embedded into Google Classroom, a blog, website or sent by e-mail or QR Code to your students. While you can still use the Flubaroo add-on to make this magic happen, the new Quiz feature is well worth looking into. This video tutorial shows the feature in action, step-by-step, and it also gives you a look at some of the other features included in the new Google Forms. On Tuesday, July 19th and Thursday, July 21st, I will be leading sessions at the McKinley Administration Building on Eno Whiteboards and RM Easiteach Next Generation, the whiteboard lesson-creation software.